It is a rare occurrence for me to be astounded by a new form of technology, especially when it connects to the Star Wars universe but, being invited to attend the press launch of the Star Wars Identities event at the O2 Arena in London, I was indeed just that…astounded. In fact, calling the Star Wars Identities retrospective an exhibition is a major understatement, one that barely does it justice when reflecting upon the amazing treasure trove of content contained within its walls. Just having the opportunity to be in the same room as the costumes from the original movies would be enough to send the average fan into raptures, but intricately woven between the costume showcases is an interactive experience like no other. The experience I speak of is a fans dream come to fruition. 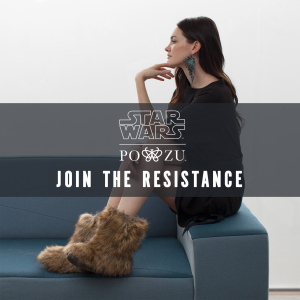 The chance to create and evolve your very own Star Wars character complete with backstory, costume, species and even a choice of which side of the force your allegiances lie. The phenomenal team behind the exhibition have created an incredible experience, one that allows the fans to enter the world of Star Wars and discover just who we could be if we were fortunate enough to step foot inside our beloved galaxy far, far away. Greeting us within the main entrance to the exhibition was the head of the UK branch of the Lucasfilm museum along with the management team at the O2 Arena who, were amazingly helpful and indomitable in their efforts to ensure that we had a fantastic experience at the event. We were swiftly fitted with a sensor equipped headset that featured an amazing design characteristic allowing every member of the gathered press to connect to the exhibition terminals directly. The headset, once aligned with the exhibitions sensors would trigger the voice communication system built into each and every terminal that would give you a real time description of the content relating to the segment. This was not the tired format of yesteryear where we were forced to endure a tedious wait for the point of interest video to begin again after arriving half way through its inaugural explanation. Those days seem to be a thing of the past with the launch of this revolutionary new technology, a feeling accentuated when we were supplied with an interactive black rubber wristband. However, this wasn’t any old wristband. Designed to resemble a rubber based watch, the wristband itself was actually a data collecting interactive gadget, designed to be scanned against the terminals that had been positioned at designated areas throughout the exhibit. The purpose being that once scanned, the information collected from our selections would combine to create our Star Wars character’s traits and appearances. It was a tantalising prospect, and as we entered the first compartment of the exhibit we were launched into a world of Star Wars magic and mystery that began with a scan of the wristband. The test area awaited us as we crossed the threshold and regarded the adjoining darkened wall which was aligned with a series of brightly lit scanning points. Within seconds, the sound of Jawa chatter erupted from our earpieces followed by the unmistakable roar of an airborne X-Wing fighter that swooped invisibly above our heads on its journey into the unknown. A scan of the wristband upon one of the terminals labelled as “Strong is the Force” and we were ushered along into the next chamber. An enlarged video wall awaited us that began to show awesome images of the Star Wars universe created using a combination of stars amongst the blanket of space. We were prompted to test our head sets and adjust the volume controls in order to attain the most comfortable setting as the stars converged to reveal the face of everyone’s favourite rogue Han Solo. Rounding the video wall which morphed into spectacular images of Jedi Master Yoda, we found ourselves within the hall of species, the second interactive selection point where we were to decide upon which species that best resembled ourselves. Almost every species from the Star Wars universe was represented, from Trandoshan to Wookiee, Human to Ewok and even Twi’lek to Rodian. Literally spoilt for choice, we all selected the species that represented us best and as a fan of Jedi Master Plo Koon from the prequel trilogy, I was quick to select his Kel Dor species. With a scan of my interactive wristband my journey began and my very own Star Wars character began to take shape. Pulling ourselves away from the incredible costumes of Boba Fett and the Imperial Stormtroopers we found ourselves in section three of the interactive module. A scan of the wristband atop the terminal and we were prompted to input a character name for our avatar before selecting how strong in sensitivity our character was with the force. As we passed the section housing the phenomenal puppet masks of The Phantom Menace pod racers, we were confronted by the fourth interactive wall, this time asking us to select our point of origin within the Star Wars universe. A scan of the wristband opened up a plethora of options ranging from Kamino to Coruscant and Endor to Mustafar and personally I favoured the notion of enjoying the city life of the central system in the Republic, Coruscant. The terminal then requested a lifestyle for my evolving character and I swiftly decided to reject the high life amongst the skyscrapers and opted for a life dodging bounty hunters amongst the seedy under belly of the lower, crime filled streets of the Coruscant underworld. The fifth chamber housed the terminal relating to our paternal upbringing. Referencing the relationship between Anakin and Shmi Skywalker, a scan of the wristband later and we were prompted to select a family life, tailor made for our new avatars. Every style of parentage was on display and determined by our choices we could select either strict, soft, supportive and even lacklustre as a potential choice, and without hesitation I was quick to choose the “good for you” approach. One of the most exciting scanning points of the entire event awaited us as we passed the Han Solo in carbonite exhibit. The sixth hall was the home to our character’s spiritual guide. The relationship we would go on to select would echo the relationship between that of Luke Skywalker and his mentor Master Yoda and would help shape the persona of our avatar. Not only would this choice select a spiritual guide but would also allow our character to inherit the abilities of our chosen mentor. With characters like, Chewbacca, Han Solo, Darth Vader, Qui-Gon Jinn, Master Yoda, Obi-Wan Kenobi, Padme Amidala and Emperor Palpatine to choose from, we were literally spoilt for choice. And yet, with my love for Han Solo overriding my judgement I swiftly opted for the scruffy looking nerfherder. Navigating our way past the awe-inspiring original costumes of Han Solo and Chewbacca that were positioned alongside the stunning original prop of the Millennium Falcon we rounded the corner and found ourselves standing inside a chamber that looked strangely reminiscent of a Death Star command deck. Before us stood the hexagonal holographic table made famous in the original Star Wars movies and the succeeding television series The Clone Wars. Scanning our band’s upon the interactive terminal allowed us to select our character’s friends and experiences which was a revealing prospect. Following a hard life of slavery within Coruscan’s underworld, my character made acquaintances with the ruthless bounty hunter Boba Fett and after winning a pod race to earn his freedom, he set off in an X-Wing fighter, determined to explore the galaxy. Rounding the compartment wall, we found ourselves staring at the wall of occupation. Titled “What do you do?” the entire wall was decorated with a plethora of painted costumes reminiscent of the regalia worn by many of our beloved Star Wars characters. From the vintage Jedi robes to the classic Rebel pilot suit, the desert attire of Beru Lars to the Mandalorian armour of the mighty Boba Fett, every costume you could think of was represented for consideration. Below each costume was our scanning point and without the need for additional time to reflect upon the choice, I confidently selected the armour and occupation of Boba Fett. The impressive costumes of Anakin Skywalker and Padme Amidala came into view as we entered the chamber of the prequel trilogy. The Attack of the Clones costumes looked amazing upon their podium with the fluorescent lights illuminating them to magnificent effect. The Anakin costume stood before the impressive Tatooinne Speeder Bike that filled the stage with its magnificence and only emphasised the trio of beautiful dresses on display nearby. Stationed alongside the stage however, was our next port of call on the interactive journey through the Star Wars experience, a waist high series of computerised column’s that housed both a small video screen as well as the customary scanning terminal. The section was named “How do you behave?” and was designed to forward us the selection of our character’s conduct. With the notion of instilling a little mischief to proceedings, I selected the shy but quick to anger persona for my character, providing him with the deadly mix of underlying ferocity which would complement his bounty hunter profession perfectly. 1) Conformity: Civilisation begins with order and discipline. 2) Security: Better to be safe than sorry. 3) Stimulation: Life is an adventure or nothing at all. 4) Benevolence: Helping is its own reward. 5) Achievement: Excellence deserves recognition and respect. 6) Tradition: This is the way our forefathers did it. 7) Power: Follow the leader or get out of the way. 8) Hedonism: If it’s not fun, why do it? 9) Self-Direction: Freedom is the right to choose. Reflecting upon my own personal upbringing, I decided to select achievement and add another level of character to my avatar that was reaching its fulfilment and becoming alive with its own sense of style and personality. It was then we regarded the amazing costumes standing alongside the scanning terminal. Taking pride of place upon the stage were the impeccable costumes of Emperor Palpatine, Darth Maul, Kit Fisto, Plo Koon, Mace Windu, Obi-Wan Kenobi and finally Jedi Knight Luke Skywalker. If that wasn’t enough, standing on the opposite podium was the awe-inspiring costume of the dark lord of the Sith himself, Darth Vader. Illuminated by the luminescent tube lighting, the suit looked positively amazing and was just as impressive as it was upon the silver screen. And then we came face to face with the final selection point. However, this was no ordinary scanning point. We were confronted by the sinister features of Emperor Palpatine who was enticing us to join his cause on the dark side. This final moment served as the ultimate assessment, one that would test our devotion to the light side of the force. I am delighted to confirm that without hesitation I turned to the dark side with glee and rejected the teachings of the Jedi. With my decision made, we were directed through the final compartment where a giant view screen awaited us. Aligning the screen wall were a series of the tell-tale scanning points and once our wristbands came into proximity our finished character’s appeared on the screen in all their stunning glory. Standing before me was the incredible culmination of my lifelong dream, a moment every Star Wars fan on the face of the earth had longed for. The realisation of my very own Star Wars character. My character was depicted as a Kel Dor bounty hunter, clad in the impressive armour of the mighty Boba Fett who had been guided by the hand of Han Solo but had tragically succumb to the pull of the dark side. The Emperor had preyed upon my character’s aggressive mannerism and had enticed him to embrace the hatred of the dark side of the force. It was a subliminal final act and a fitting climax to what was an amazing interactive experience. With a Star Wars event that begins with the question, who are you? we truly are thrust into the world of make believe as we are presented with the opportunity to create something very unique, something we’ve all wanted to explore since our childhood. The chance to create our very own Star Wars character straight from the depths of our imagination. It was a powerful experience, one that I shall personally never forget and would genuinely love to reprise in the future. The amazing team behind the creation of this remarkable event have created something very unique with this experience. The opportunity to invent your very own Star Wars character is a moving experience, one that will tap into the very childhood of every single fan that attends the event and helps us fulfil a life-long dream. In closing, it is undeniable that this experience cannot be replicated and can only be experienced at the Star Wars Identities event that has been lovingly established within the confines of the beautiful O2 Arena. The stunning backdrop makes for a fitting environment to meet your alter ego as well as offering every fan the chance of enjoying the stunning costumes of the original movies. These costumes alone would traditionally be more than enough to appease even the most hardened of fans but, Star Wars Identities goes to the extreme with its impressive interactive experience.